I have THE most exciting news!! Next week in my very own city, just 15mins from where I live, the new Thor movie is shooting!! How flippen exciting is that?? 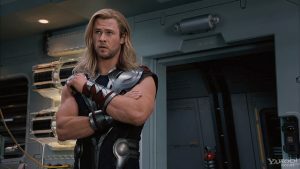 Chris Hemsworth is going to be walking around in my hood! This is somewhat serendipitous because Marian and I had planned a Chris-a-thon for our maternity leave. 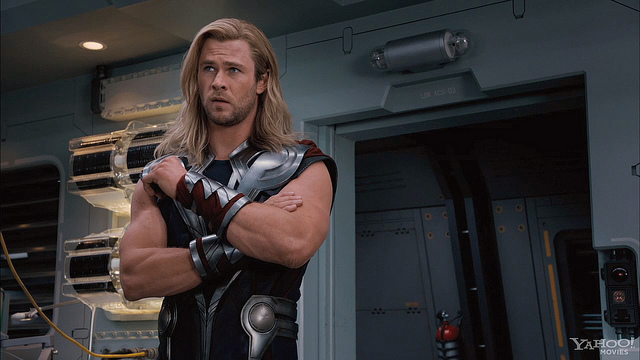 We plan on watching all the Chris movies – that is Chris Hemsworth and Chris Pratt, cause – you know…yum. While the prospect of going to watch the filming is tempting, the thought of trudging my fat self into the city is less tempting. Monday I had another scan to check fluid levels around Bear. I had a feeling either Bear had a giant growth spurt or Mt Franklin was overflowing yet again, the scan confirmed the latter; once again the amniotic fluid levels are ridiculously excessive, even more than before we had the drainage. After the scan the consultant came to see me to discuss another drainage. I really wasn’t keen on doing one anytime soon. Next week Marian and David arrive to stay until after Bear is born, so I figured that if we could hold off til then it would be for the better. This would also put us another week closer to our due date and I was hoping this would mean it would definitely be the last time the pool needed to be drained. While the consultant understood where I was coming from, he believed there was no benefit in waiting any longer due to the risks of preterm rupture of membranes given the excessive amounts of fluid. We decided that I would make an appointment for the following week but he offered me the choice to call anytime during the week to organise a drainage if I changed my mind. He also organised an appointment with a neonatologist the following day to discuss the investigations they would do on Bear at birth to see if there is a reason for the polyhydramnios. After going home that afternoon completely deflated and a bit teary and discussing it with Marian, David and hubby we decided that it was best not to wait another week. Hubby was the one who convinced me, he had noticed how much I’d been struggling over the last few days to do anything due to being so uncomfortable and heavy. He didn’t see the benefit in waiting another week or so just so Marian and David could be there and bless his heart he offered to come into hospital with me to support me through it all. After talking to Marian and David they decided there was no way they wouldn’t be here for it, so I made an appointment for this Friday for a drainage and tonight they will fly in to be there for me and Bear. More tears ensued. Given the procedure goes well, they will return home after and drive up the next week to stay. The appointment with the neonatologist was informative. Basically there could be two causes for the polyhydramnios that they won’t be able to investigate until birth. One is that Bear could have a kidney condition that causes excess weeing which would lead to all the extra fluid since amniotic fluid is pretty much just baby wee. The other is esophageal atresia where the top of the esophagus doesn’t connect to the lower part which means Bear can’t swallow. Since we have seen fluid in Bear’s stomach on ultrasound it is unlikely that this is the cause, however we were told that in rare cases esophageal atresia can be present with fluid in the stomach. At birth Bear with have a tube passed down it’s throat to ensure it is connected and urine output will be monitored closely. Bear is also measuring quiet large due to it having an olympic sized swimming pool to move around in, so it’s blood sugar levels will also be monitored for the first 24hours. The neonatologist was quick to point out however that in most cases of polyhydramios there is no underlying cause, so we may never know why I have it. Maybe Bear is going to be an Olympic swimmer! Hope the drainage Friday went well. Thinking of you. Hi guys, thinking of you all! Glad the draining went well! !